The Command Wing of the Commando Training Centre Royal Marines (CTCRM) is responsible for training all Young Officers and NCOs from Corporal (Section Commander) to Warrant Officer Class 1 (Regimental Sergeant Major). The Command Wing is also responsible for command training of the Royal Marines Band Service and the Royal Marines Reserves. The Junior Command Course (JCC) aims to teach and develop the leadership qualities of selected candidates, normally Lance Corporals, who wish to be considered for promotion to Corporal. The Royal Marines require between 250-300 new Corporals each year. Promotion from Marine/Lance Corporal to full Corporal requires, usually, at least a B Grade report before the candidate is sent on the JCC. Promotion depends on a candidate’s specialist qualification (SQ). Some SQs promote quickly, such as Clerks, Drivers, etc, others take considerably longer. The JCC provides the grounding for many of the skills required of a junior leader. It includes all elements of Military skills, including field craft, navigation, weapon handling, tactics, fitness and first aid. However, even at this level of command, a high standard of instructional technique is expected of students on the JCC. This is considered appropriate as many will become specialists within the Royal Marines and they will be expected to pass on such skills. Crucial to any commander, of any level, is the ability to receive and give orders. Considerable importance is given to the teaching of the NATO orders sequence, which when received, must be interpreted, the relevant information extracted and a new set of orders prepared and delivered to the appropriate task group. This is a skill that demands much practice. Candidates are critically assessed on their ability to make a combat estimate of a given situation from which they are expected to formulate a plan, give the relevant orders and take command throughout the execution of the plan. The 11-week course, conducted in Devon and Wales, starts with a ‘simple’ pass or fail test on the first day; a four-mile speed march carrying the current personal weapon (an SA80 rifle) and 21lbs of kit inside 40 minutes. After this instructors go back to basics to assess the candidates’ commando skills such as navigation, living in the field, military experience and especially navigation, such as finding your way across 10-14km of Dartmoor or Braunton Burrows in North Devon by night carrying equipment. The course culminates in an eight-day final exercise. The eight days and seven nights carrying out reconnaissance patrols, raids and all-out assaults on villages serve as the finale of the JCC, which determines which candidates will be the Corporals of tomorrow. Not everyone has inherent leadership ability and future Corporals need to be confident in their ability to stand in front of people and take charge, but they also need to be convincing when they do so, otherwise they will not be respected. Instructors look at an individual Marine’s skill, their ability to deliver lectures, pass on orders, advice and instructions to their subordinates, their command and leadership abilities and finally their personal qualities; determination, courage, appearance and bearing, and cheerfulness in the face of adversity. Personal strength and endurance is tested with the gruelling log run; eight man teams haul a telegraph pole around a five-mile route of Woodbury Common. The course twice makes use of the ranges at Sennybridge, in the Brecon Beacons north of Merthyr Tydfil. Firstly for assessing the ability to lead a patrol, planning, issuing orders for and finally carrying out that mission; and the second time for that final assessment. In between, the trainees are taken to the Caerwent training area near Chepstow which is an old armaments depot, now used to teach troops in the art of urban combat and is also heavily used by TV (e.g. the Doctor Who spin-off Torchwood) and Hollywood (e.g. Captain America). Throughout the field exercises, the candidates are permitted very little sleep, sometimes just an hour a day. At Sennybridge, for example, the candidates will complete a 10km march and then receive a 6-hour stand down to get some forced rest. By the time of the final exercise, instructors have a good idea who will pass the course. The Senior Command Course (SCC) is designed to take the experienced Corporal to a position from which they may be considered for promotion to the rank of Sergeant. They will already have proved their potential within the Royal Marines and will have commanded a section of marines probably on operational duties. Their leadership attributes will have been reported upon for several years by different commanders and they will have gained the recommendation of their commanding officer before being selected for the course. The SCC aims to confirm the required levels of military skills and instructional techniques. Thereafter higher levels of tactics are taught as well as the administration skills required of a SNCO. On completion of the 9-week course the student will be able to fulfil the duties of a Sergeant within a Commando Unit. As such they must be capable of taking command of 30 troops in the absence of an Officer, both in peacetime and battle conditions. They are responsible for the administration and logistic support of the troops and they must be aware of Commando level doctrine and tactics. The course starts with a pass or fail test on the first day; a four-mile speed march carrying the current personal weapon (an SA80 rifle) and 21lbs of kit inside 40 minutes. Advanced Command Course (ACC) candidates are SNCOs normally having attained the rank of Colour Sergeant. The 6-week ACC concentrates on the higher tactics and administration of amphibious operations. An understanding of British Military Doctrine, International Affairs, Political Policies, and their effects, both military and socio-environmental are expected. 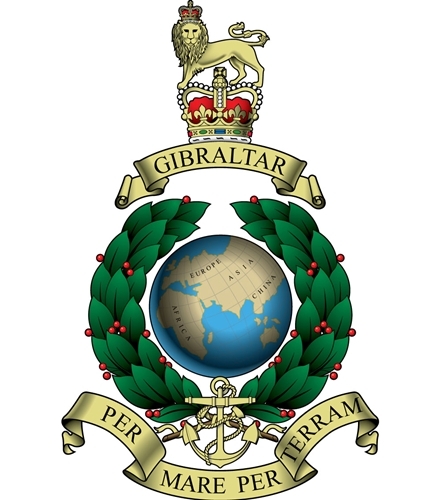 A detailed knowledge of the organisation of the Royal Marines and particularly 3 Commando Brigade is fundamental. In their next rank as a Warrant Officer candidates will be expected to administer either technical or combat manoeuvre sub-units of the Brigade, such as a Rifle Command in a Commando or a Support Squadron in the Logistic Regiment. A thorough understanding of Brigade operating procedures is necessary, as well as a detailed knowledge of military law, and of a Sergeant Major’s administrative duties. The Warrant Officer Class 1 (Regimental Sergeant Major) (WO1 (RSM)) Course involves a candidate sitting with a board of current WO1 (RSMs). Unfortunately I have no further information on this process.